H.265/HECV videos becomes more and more popular for their super high definition and smaller size than the same quality H.264 video. But for Dropbox users, putting these H.265/HECV videos to Dropbox seems not to be easy cause Dropbox natively can’t support H.265 videos. From dropbox.com, Dropbox supports to accept 3GP, AVI, MV, MP4, M4V, WMV, VOB, MPEG, etc but not includes H.265 video. So if you want to upload H.265/HEVC video to Dropbox, you have to re-encode these H.265 video to H.264 format for Dropbox. To finish the task, you will need to have a reliable H.265 Video Converter to do the job. 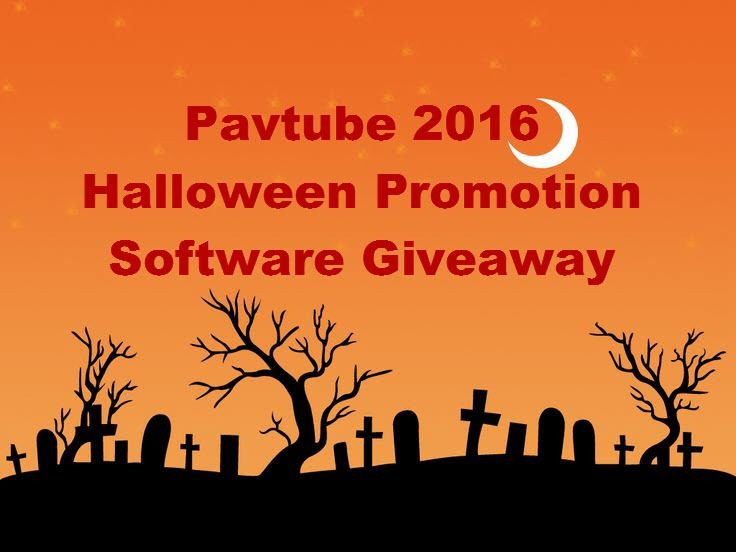 Among all available H.265 Video Converters in the market,Pavtube Video Converter Ultimate （ Mac） claims one of the top one to meet the H.265 to H.264 MP4 encoding need. Based on my testing, it works perfectly and now I’d like to share it with all of you. How to re-encode H.265/HEVC video to H.264 for Dropbox? Click the “Add video” button to import H.265/HEVC video into the application. You also can import Blu-ray, ISO image and DVD to the app to transcode for Dropbox. Click on “Format” bar to select output format. 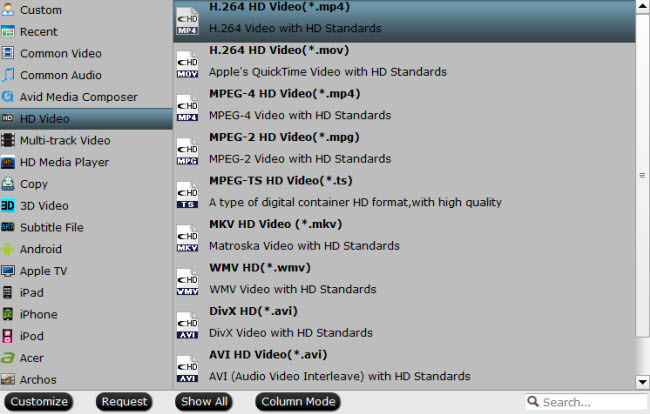 Here you can choose H.264 MP4, MPEG-4 MP4, WMV, AVI, WMA, etc any one Dropbox supported format as target format on Window. Here, we choose H.264 mp4 as the target format for its wide compatibility with all kinds of devices. Click the “Start conversion” button at the bottom right corner to start transcoding H.265/HEVC video for Dropbox. After conversion click “Open” to find the generated videos. Once you’ve added converted H.265/HEVC video files to Dropbox, now you’ll make it available for viewing on other computers, Android, Apple devices anytime, anywhere just with the help of your Dropbox. Note: When you create a link to a video in your Dropbox you will be able to watch the full video, and anyone you share the link with will be able to view the first fifteen minutes on a preview page. In order to view the full length of the shared video, recipients will need to download the file to their computer. Dropbox is, as one of the top Cloud Storage, a storage document that can synchronizes your files online and across computers. Only if you have a Dropbox client portal on your computer, moblie phone and tablet that has an internet connection, you can access the stored videos, musics and photos from Dropbox whenever and wherever. So if you have a large of Blu-ray library, uploading these Blu-ray to Dropbox can save your shelf space and make Blu-ray movie organization and storage convenient. But adding Blu-ray to Dropbox for storing and sharing, it has some preparation job need to do. Dropbox can support many kinds of videos like 3GP, AVI, MOV, WMV, M4V, MKV, etc, but it can’t put Blu-ray disc online for lacking of Blu-ray drive. So for uploading Blu-ray to Dropbox for sharing and playing, a Blu-ray Ripper is needed to rip Blu-ray to Dropbox accepted format. Pavtube Video Converter Ultimate （ Mac） is a smart Blu-ray ripper for you to rip Blu-ray to Dropbox with suitable format. This Blu-ray ripping tool can rip any encrypted Blu-ray and turn the Blu-ray movies to Dropbox in MP4, MOV, AVI, MKV, etc popular formats. For the video size limit of Dropbox site, the built-in editor also allows you to extract Blu-ray clips with the very part you want. Or, you can just choose to rip certain chapters of the Blu-ray as you like. How to upload Blu-ray to Dropbox with suitable format? Run the Blu-ray to Dropbox software and click “Load file(s)” icon to load Blu-ray movies for converting. You can also import movies files from Blu-ray folder, ISO image files. Click “Format” and through the profile to select Dropbox highly compatible format like MP4, MOV from “Common Video” profile list. For those who wanna upload Blu-ray files to Dropbox and share on tablet or phones, you can choose a certain preset like iPad as target format. After all settings, click “Convert” button to rip Blu-ray to Dropbox. When the process finishes, open the output folder to locate the generated file. 5. The window will disappear, your files will start uploading, and you’ll be shown a progress indicator. That’s it, you’ve added the converted Blu-ray files to your Dropbox! Once you’ve added ripped Blu-ray files to Dropbox, now you’ll make it available for viewing on other computers, Android, Apple devices anytime, anywhere just with the help of your Dropbox.